At the end of April Google officially stated that Universal Analytics is out of Beta and all the features previously supported in Google Analytics are now supported in Universal analytics as well. In particular, the three main features that were missing from the previous beta version were: Remarketing, Adsense, Doubleclick and Content experiment, which are now finally available in the new platform. 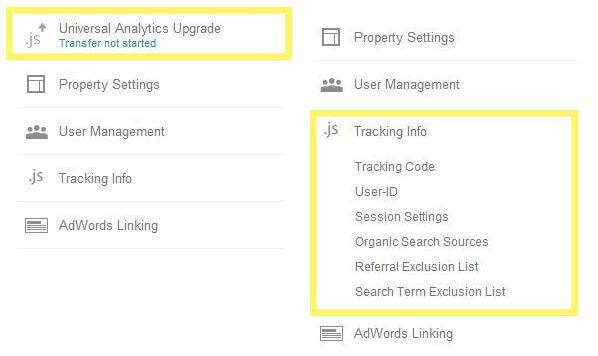 Google has announced that within the next two years all the Google Analytics properties will automatically be transferred to universal, and many of them have already been upgraded. To check if your property has been upgraded and you need to implement the new tracking code, you can verify this in the admin area under the property section. If it looks like the left block, your website has been already upgraded to Universal Analytics. If it looks like the right image your Analytics property can be transferred as and when you choose. Note that Google will not notify you if your account has been upgraded, however you can verify your upgrading status in the admin area with the above method. 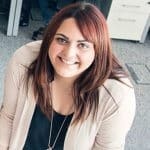 This new version of Analytics is called ‘Universal’ as a unique tracking system is able to measure user experience across different websites and different devices. The actual change is the way Google stores cookies: Google Analytics stores cookies in users’ browsers, while Universal Analytics records users and session information on the Google servers. In this way if a user is typing a query on the mobile device, and a month after goes to visit the desktop website to buy a product or service, the universal interface will show this conversion as coming from a returning mobile visitor rather than just a direct visit. This is something really innovative! However, this feature will only be available for users that are signed into Google’s secure interface, as this is the only way that Google can recognise and match cookies data, user experience information and the actual physical person. Another innovative aspect of Universal Analytics is the way you can display your traffic channels in the report area. By using Universal Analytics you can decide on a whole list of search engines to track. This feature is extremely relevant for international business that own websites targeting Asia, Africa or specific areas where it is necessary to track other search engines rather than Google.com or the other default engines currently tracked by Universal. You can actually exclude some referral paths if the session belongs to a visit started in a different website that is part of the network that you own. You can also set group of keywords from organic search to be considered as referrals or just direct traffic. However, after the news that Yahoo and Bing along with Google decided to secure all searches, it could be quite hard finding organic keyword information in your Analytics platform. Universal Analytics lets you easily set and measure new variables depending on your business needs. Hit: this dimension is added every time a specific value is hit by a single action. Session: every action made during that session will have the dimension added. User: the dimension is added to the current and future sessions from that visitor. By using these three features you can evaluate how many users perform specific actions on the website, how many sessions present a common path or how many visits hit a specific value in the day. If you need more help on your website tracking, do not hesitate to contact us today!